Starting next summer, the first Ford vehicle to be assembled in Craiova will be the Transit Connect (a light utility vehicle), which is currently made at the Kocaeli plant in Turkey. “The production of the Transit Connect model is expected to amount to 30,000 units in 2009, and approximately 50,000-60,000 units in 2010,” stated John Fleming, CEO and chairman of Ford Europe, and also vice-president of the Ford Motor Company. The models assembled in Craiova will be destined primarily to America, after the carmaker announced its intention to start selling the model in the US, in early February. “We have recently announced that the Transit Connect will be sold on certain markets in America next summer. That is why we deided to use the factory’s capacity in Craiova to meet the rising demand for the Transit Connect,” Ford Europe’s chairman added. The sales of the Transit Connect stood at 506 units in 2007 in Romania, an increase of 5.4%, while in Europe it sold approximately 110,000 units. The price of this model in Romania stands at 11,850 euros, or 12,974 euros (VAT exclusive). 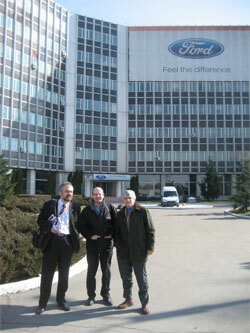 From the sale of vehicles alone, Ford Romania’s turnover could stand at 360 million euros in 2009, or 30,000 units. 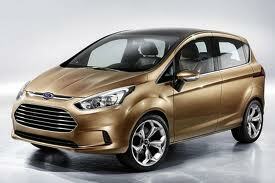 Starting in 2010, Ford will assemble a small class car in Craiova, although that car will not be a Fiesta. “Ford will start to produce small class cars in Craiova in mid 2010, which will be sold on the local market and exported to Europe, but it will not be the new Fiesta. The new model will be directed towards a niche market,” Fleming explained. Gov’t approves Automobile Craiova Privatisation to Ford: The contract will be signed today in Frankfurt. The government approved yesterday the contract through which Ford takes over the stock held by the State in Automobile Craiova for EUR 57 M.
The American carmaker undertook to make direct investments worth EUR 675 M in upgrading the works, and to increase the personnel number. Also, the Government passed the special bill on Automobile Craiova. The Automobile Craiova privatisation contract will be signed today in the Frankfurt International Motor Show, as Romanian authorities meant to ensure further publicity for the transaction. 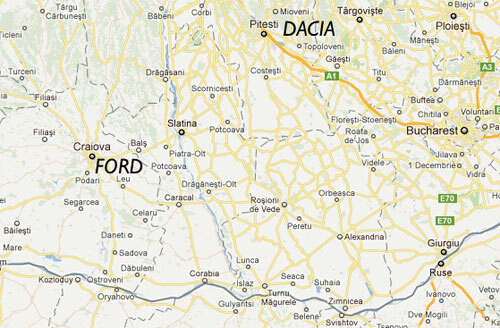 Ford bid EUR 57 M for a stake accounting for 72.4 per cent of the Automobile Craiova equity. The amount was stipulated in the improved tender, after the initial tender offered EUR 55 M.
Premier Calin Popescu Tariceanu stated in the Cabinet meeting yesterday that the sale of Automobile Craiova is the single most important privatisation in Romania in 2007. Ford will have in Romania, starting in the third year, an annual turnover of at least EUR 2 bln, which means that it will pay to budget taxes of hundreds of millions of EUR, and will contribute to the equilibration of the commercial balance, declared the president of the privatisation commission, Sebastian Vladescu. “Ford pointed out that the cars manufactured at Craiova will be for export, so we shall have a net balance of at least EUR 500 M per year,” stated Vladescu, He showed that Ford has come to Romania to run long-term affairs, and stressed that the US producer wants to set up the first car at Craiova in less than two years. The profit of traders and real-estate developers would grow on the backdrop of a similar growth in the locals’ purchasing power. Ford’s take-over of Automobile Craiova would no doubt reflect not only on the car manufacturer itself, but also on the entire business environment around it. One of the important effects to be felt in Dolj County would be the reduction of the unemployment rate, which according to estimates topped 5 per cent in Dolj County. ‘It is very likely that the unemployment rate would drop by 1 or 2 percentage points in the following period,’ Gheorghe Nedelescu, Vice-Mayor of Craiova, stated for ‘Ziarul Financiar’. The state may receive over EUR 500 M for its participation of 72.5 pc in Automobile Craiova. The President of Authority responsible for State Assets Resolution (AVAS), Teodor Atanasiu, declared, in Alba Iulia, that Ford Europe submitted a technical offer that is “more generous” for Automobile Craiova plant than the criteria asked by the Romanian State through the task book. The President of Ford Europe, John Fleming, will present the privatisation commission responsible for Automobile Craiova, at AVAS venue, details on Ford company and the technical offer related to taking over the automotive plant, after the meeting with PM Calin Popescu Tariceanu. “This will lead us not only to prerequisites of a successful privatisation, but also to an ample industrial construction in Craiova and in establishing the second large automotive producer in Romania. I cannot provide more details since Ford has asked confidentiality until Monday, when their President responsible for Europe arrives to officially present this offer before PM Tariceanu and commission in charge of privatization,” Teodor Atanasiu added, according to Mediafax. AVAS President specified that the State has asked the company which would buy Automobile Craiova to have a production of 200,000 cars per year, in four years, and to preserve the current labour force, the plant having around 3,000 employees. Ford will make investments worth EUR 675 M in Automobile Craiova, according to Mihai Voicu, Minister responsible for Parliament Relationship. 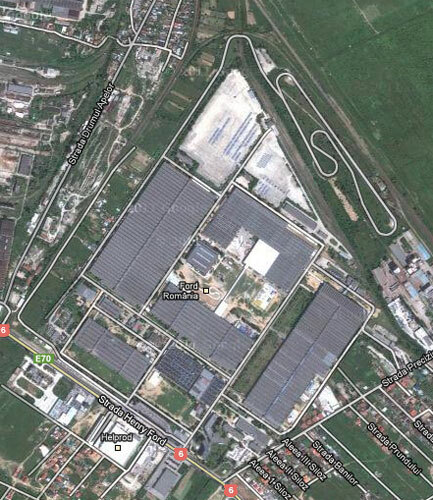 Ford commitments related to Craiova plant are as follows: a production of 300,000 cars per year after 2011; 300,000 automotive engines new design per year also as of 2011 and direct investments of EUR 675 M, which leads to total direct expenditures in Romania amounting to EUR 1 bln. “Ford company agrees with reaching an integration degree of 60 per cent in Craiova based plant, along with doubling the employee number up to 7,000  9,000,” Voicu said. Teodor Atanasiu and Sebastian Vladescu, President of the commission in charge with privatisation, State Secretary in Ministry of Economy and Finances, specified that the financial offer has not been opened yet since parts have considered that this was not relevant for the current stage of negotiations. The commission asked Ford for a viewpoint on the proposed draft contract and particularly regarding the clauses which may pose difficulties, Vladescu added. The financial offer is opened only after the American group would have presented the improved offer both from a technical and financial viewpoint. According to automotive market analysts, the company is valued to EUR 800 M, considering the investments worth a few hundred million EUR made at Daewoo Craiova, so that the State may receive over EUR 500 for its 72.5 per cent participation in Automobile Craiova.